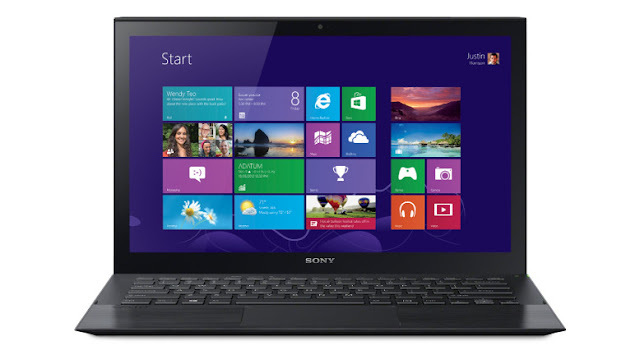 Sony has launched its new VAIO Flip range of hybrid notebooks in the Indian market. The company has launched four variants of the Flip laptop in the country with prices starting from Rs 94,990. Sony today introduced The new VAIO Flip aims to suit the computing needs of everyone and is available in 13-inch, 14-inch and 15-inch sizes. 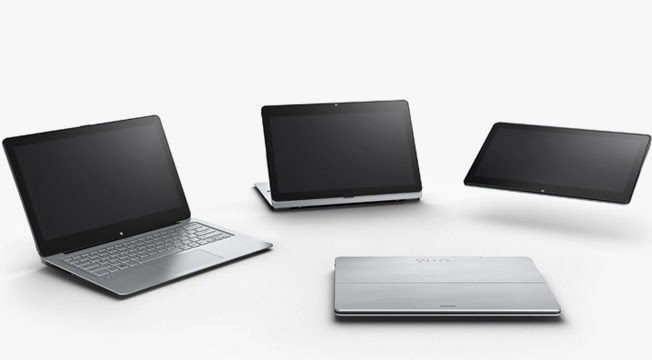 According to Sony, the VAIO Flip’s design is based on the essence of ‘sharing with others’. As name suggests, the display can be flipped in three different angles. The first is the laptop mode which is used for highly productive work, the same way as conventional notebook PCs. The second is called the viewer mode, wherein one can slightly lift the display and flip over it so that you can share the experience of watching a video or movie with another person or give instant presentation anytime. The last is the tablet mode wherein the display can be completely flipped over and it rests on the keyboard like a conventional tablet. It is best utilized for touch, browsing the web, taking pictures etc. Its chassis is constructed with brushed aluminum hairline finish. 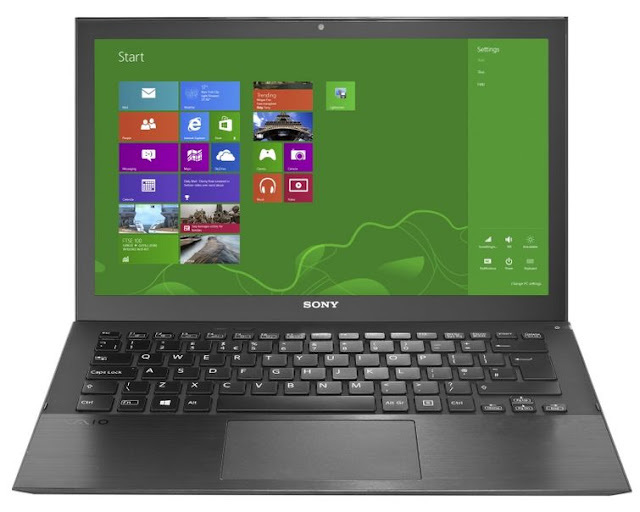 The Sony Vaio Flip F13N1A features a 13.3-inch full HD touch display. It is powered with Intel’s fourth-generation processors (up to i7 clocked at 1.6GHz) with Intel HD Graphics 4400 paired with upto 8GB of RAM and up to 256GB SSD storage. 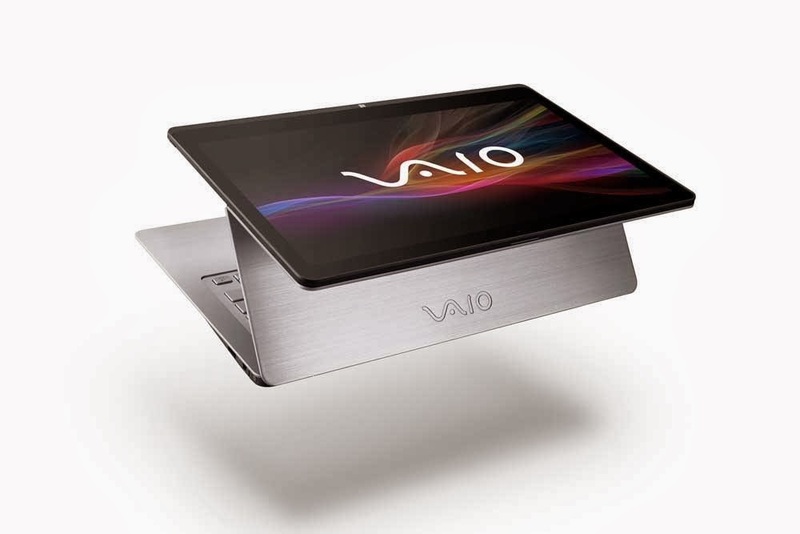 Vaio Flip F13N1A also includes a battery that lasts for up to 7.5 hours, an 8-megapixel rear camera and connectivity options like HDMI, Wi-Fi, USB 3.0 and NFC. The Vaio Flip F13N1A is priced at Rs 99,990. 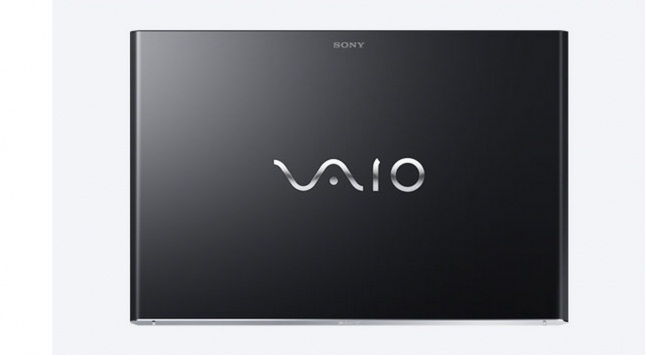 The Vaio Flip F14N16 features a 14-inch full HD touch display. It is powered with Intel’s fourth-generation processors (up to i7 clocked at 1.8GHz) with Intel HD Graphics 4400 paired with upto 8GB of RAM and up to 750GB hybrid drive. Other options include HD camera, a battery that lasts for up to 6 hours and connectivity options like HDMI, Wi-Fi, USB 3.0 and NFC. It is priced at Rs 94,990 which is lower than the 13-inch variant as it uses a hard disk instead of an SSD. The 15-inch Vaio Flip is available in two variants — the Vaio Flip F15N12 priced at Rs 104,990 and the Vaio Flip F15N17 priced at Rs 119,990. In terms of specifications, the Vaio Flip F15N12 features a 15.5-inch full HD touch display, 1.6GHz Intel Core i5 processor, 2GB NVIDIA GeForce GT 735M, 4GB RAM, 1TB flash storage, HD camera and a battery that is said to last up to five hours. The Vaio Flip F15N17, on the other hand, features Intel Core i7 processor clocked at 1.8GHz, NVIDIA GeForce GT 735M and 8GB of RAM, in addition to the above mentioned specs. The touchscreen notebooks come with Opti-contrast panel and with a Triluminos Display for mobile also features Sony’s BRAVIA expertise and all the three notebooks sport a full HD resolution. There is also a presence of X-Reality for mobile which optimizes the quality for the sharpest videos. The laptop comes with a VAIO Paper which is a digital notebook and handwriting app that replicates the feeling of natural writing with pen and paper. You can write on your VAIO Flip PC with your finger or the optional Active Pen to add images and sound that enhance your creative writing and express yourself in ways that you can’t with just pen and paper. It’s easy to use, organize and share your creation via email and other apps. Vaio Flip laptops include backlit keyboard which allows for work in low-light conditions. All these notebooks come with great audio quality like Clear Audio+TM, xLoud, Clear phase, VPT, Voice Zoom and S-FORCE front surround 3D to offer soul-shaking clarity. Sony is also offering buyers with a free headphone worth Rs 12,990, accidental breakage insurance and unlimited free music downloads via Sony Music. Acer recently released an update to the S7, aptly called the S7-392. With the launch of Intel’s new 4th-Generation Core (Haswell) CPUs, Acer is revisiting the device in the form of the S7-392, bestowing not only a new processor, but also a bigger battery and twice the RAM. Available with a 13-inch screen, a larger battery promise of seven-hour runtime. Additionally, Acer retooled its cooling setup so that the fans supposedly operate much more quietly. Does an injection of new and improved internals, as well as a slightly tweaked keyboard help this Aspire achieve ultraportable excellence? We check out the finer points of this $1,450 system, and discover a few things that could still do with some improvement. To those of you who’ve been waiting for an S7 refresh, this new model barely needs an introduction. The S7-392 looks every bit as good as its predecessor, from the glossy white, glass-covered lid to the anodized aluminum frame and wrist area, which is much more rigid than the carbon fiber chassis of Sony’s Vaio Pro 13. At 2.87 pounds (up slightly from 2.86 last year), it’s still one of the lightest 13-inch touchscreen laptops you’re going to find. While the S7-392 mostly looks and feels like a premium laptop, it still has a few unsightly blemishes. For starters, the gap between the system’s 1080p touchscreen and the aluminum frame of the lid is still noticeable. The sides are cut in a clean, blunt sort of way, they never feel too sharp. The corners, in particular, have been ever-so-slightly rounded so that they never dig into your palms when you’re carrying it with two hands. Making an easy-to-hold laptop is about more than just using the lightest materials.The screen fits snugly against the left corner and widens along the right edge of the screen. The dual speakers are also situated on the bottom side — one on the left and one on the right, each with some discreet “Dolby Home Theater” branding written nearby. Though the S7 has mostly the same selection of ports as last time (two USB 3.0, an SD slot and a headphone jack), except the HDMI socket is now full-sized. 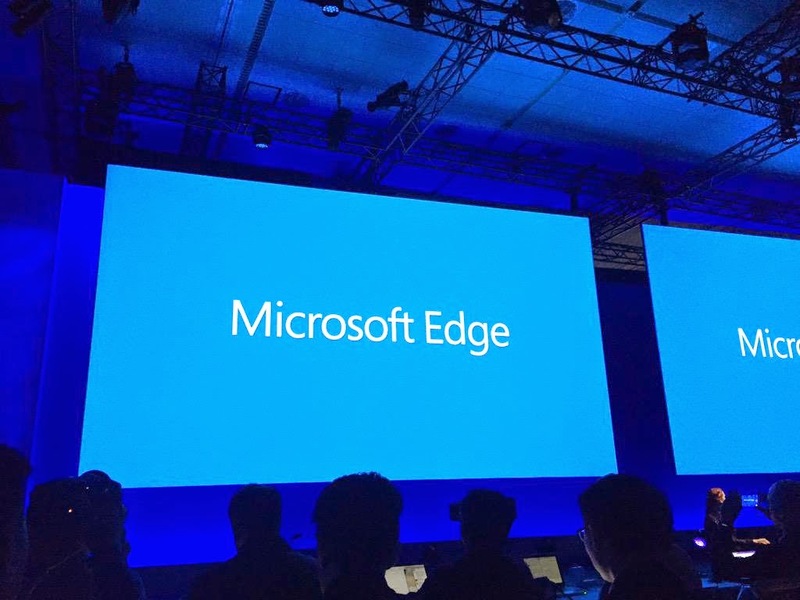 For starters, rather than have both USB connections on the right, there’s now one on either edge, which seems like the more convenient setup to us. The SD slot has moved to the left edge, while the HDMI and headphone ports now sit on the right side. Not much to say here except that the power button is unusually difficult to push, to the point where it’s not always obvious that the machine has registered your finger-press. 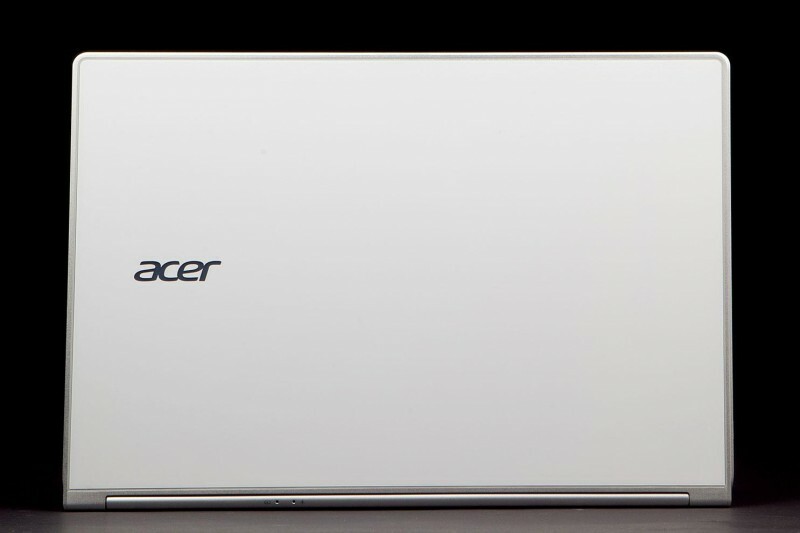 Hopefully Acer will loosen that key up just a bit when it comes time to design the follow-up product. With its brand-new 4th-Generation Core Intel Core i5-4200 CPU clocked at 1.6GHz, 8GB of RAM, 1080p IPS screen, Intel HD 4400 graphics and a 128GB solid-state drive, the Aspire S7-392 is well equipped to handle most common computing tasks, aside from gaming at high resolutions and high in-game settings. But those looking for more storage space and CPU muscle can step up to a $1,650 model with 256GB of solid-state storage and a Core i7-4500U processor. Acer moved the small power button back by the power jack where it isn’t as easy to accidentally press. And there’s a full-sized HDMI port this time around. For the most part, Acer has improved the port layout on the new S7. There’s now one USB 3.0 port on each side of the laptop. 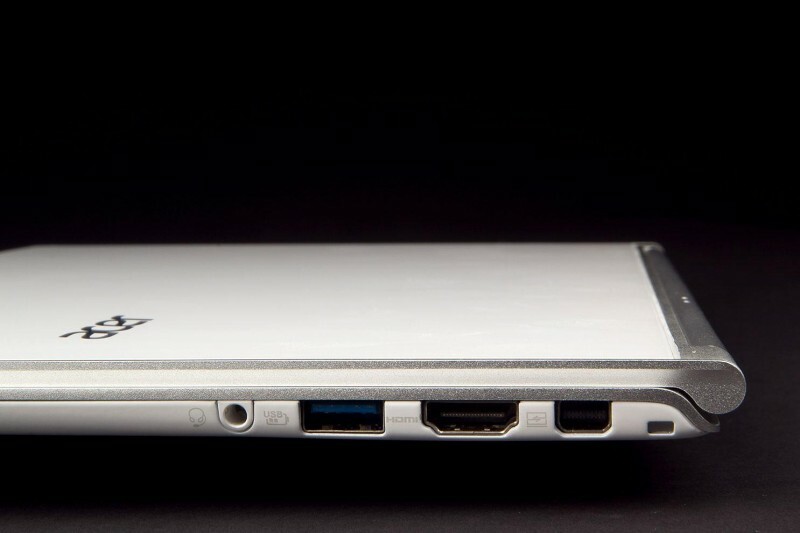 But what looks like a ThunderBolt or Mini DisplayPort jack on the right edge of the Aspire S7-392 is actually a proprietary “Acer Converter Port” that’s meant to work with specific Acer-branded accessories. The 1080p touchscreen that ships with all U.S. models of the updated S7 looks good. But as we saw in the previous model, the glass over the touchscreen is exceedingly glossy, making glare and reflections an issue when working in a room lit by sunlight or harsh overhead lighting. The screen generally seems plenty bright, unless you’re in direct sunlight. Screen uniformity and contrast is good, and the panel was able to render 72 percent of the sRGB scale, which is solid, if not stellar. In our testing, the S7-392’s screen maxed out at just 114.9 nits, which is low, especially for a premium laptop, and just about half the maximum brightness we saw with the original S7. We are also a bit disappointed to see that the WQHD (2,560 x 1,440) panel, which Acer mentioned would be available in some markets which isn’t available as an option yet in the U.S. And Acer wouldn’t say for sure if a model of the S7 would ever be available with the higher-resolution panel or not. If Acer does add a WQHD option, we also hope the company can cut down a bit on the glossy nature of the glass over the LCD, and crank up the brightness, as well. Unfortunately, the audio quality doesn’t nearly match the visuals. We never did get comfy with the speaker setup: even set to 50 percent, the volume is too weak, but crank it up and the sound gets uncomfortably distorted. We finally settled on 75 / 100, but even then the volume wasn’t quite loud enough. One of the biggest downsides of Acer’s original Aspire S7 was its keyboard. Sure, its pastel-green backlight was pleasing enough, but the keys themselves had very little travel and were frustratingly smooth and flat. 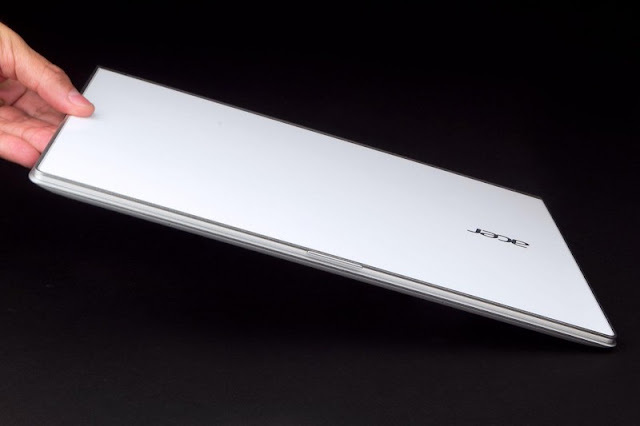 With the updated Aspire S7-392, Acer says they’ve increased key travel from 1mm to 1.3mm. That may not sound like much, but it definitely makes a difference. The keys are still smooth and flat, but they no longer feel egregiously shallow and devoid of appreciable feedback. Still, we wouldn’t call the keyboard great. Key travel is still a bit shallower than we’d like. Most of the buttons are actually big enough to hit without looking keys like Escape and Caps Lock are oddly vertically squished, and the left and right arrow keys are mushed with the Page Up/Down keys, making them difficult to hit without looking. The new S7 still comes standard with a touchscreen, but the touchpad here works well for many Windows 8 gestures, as it’s nearly flush with the wrist area. Just like the original S7, though, there are no dedicated buttons, and it could do with a different texture than the wrist wrest, so your thumbs can more easily find their way around. The trackpad here is leaps and bounds better than the one on the old model. 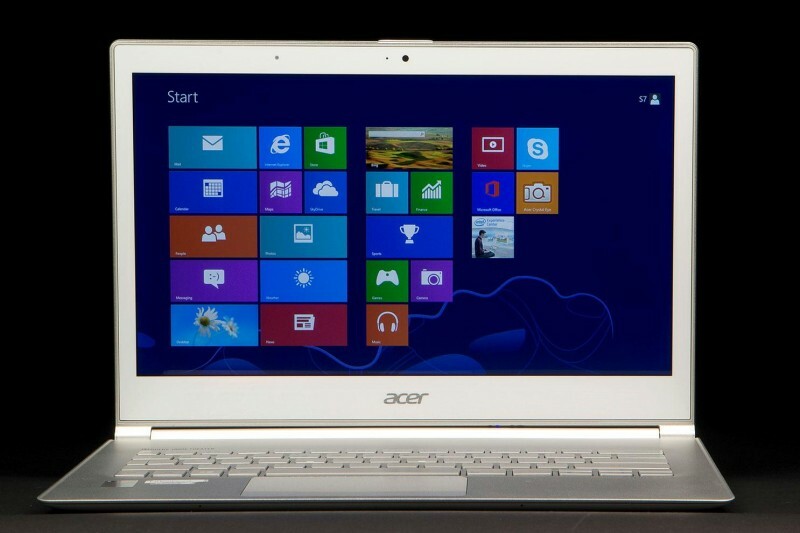 It handles pinch-to-zoom and two-finger scrolls reliably, along with all the usual Windows 8 gestures. Best of all, though, it now does a much more precise job tracking single-finger navigation and smooth experience. In everyday use, the S7 feels exceptionally fast; it’s quick to launch apps, switch between them and handle all manner of transitions. Acer’s been loading its flagship machines with solid-state drives arranged in a RAID 0 configuration. That doesn’t leave any redundancy in terms of data security, but it makes for some unbelievably fast I/O speeds, which is a pretty good selling point, indeed. In particular, we saw a huge rise in write speeds over the last-gen models, with writes regularly topping out over 1 GB/s. Read speeds were almost as fast, at 975 MB/s, though we saw similar performance even in last year’s S7. That fast SSD setup was enough to help lift all the other benchmark scores too. As promised, the fan noise has been improved so much that you’d have to put your ear up against the keyboard to hear even the slightest purring. Then again, the trade-off to having a meek set of fans is that they don’t seem to do quite as good a job at keeping the system cool: the underbelly here can get quite hot, even if all you did was leave the system idle for a while. So while the S7 is a whole lot quieter now, it also runs hot, particularly when pushing the graphics chip. With its integrated Intel graphics, we wouldn’t recommend the S7 as a serious gaming machine anyway. But if you do plan on playing moderately demanding games on your new machine, you’ll probably want to look to something other than the new S7, unless you don’t mind using a laptop cooler. with a relatively small 6,280mAh battery, the S7 still lasts for much of the day, even under a taxing workload. The new CPUs, combined with an internal battery that Acer says is 33 percent larger than that found in the original S7, makes a big difference when it comes to battery life. Our review unit of the S7-392 managed to keep going for 2 hours and 3 minutes on demanding Battery Eater test. The previous model lasted just 1 hour and 34 minutes in the same test which is an increase of about 30 percent. In our less-demanding Reader’s Test, the S7 managed to run for a quite reasonable 11 hours and 12 minutes. The Acer Aspire S7 ran for 7 hours and 14 minute sin our video playback battery drain test. Considering this system’s half-inch thickness, the new S7’s battery life is pretty impressive. 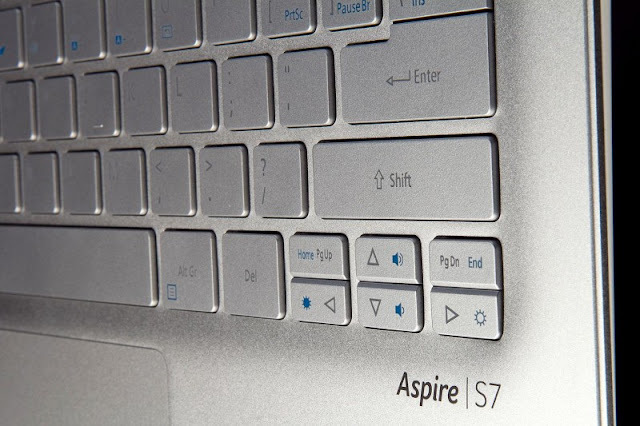 For most users, though the updated Aspire S7’s battery should be sufficient. 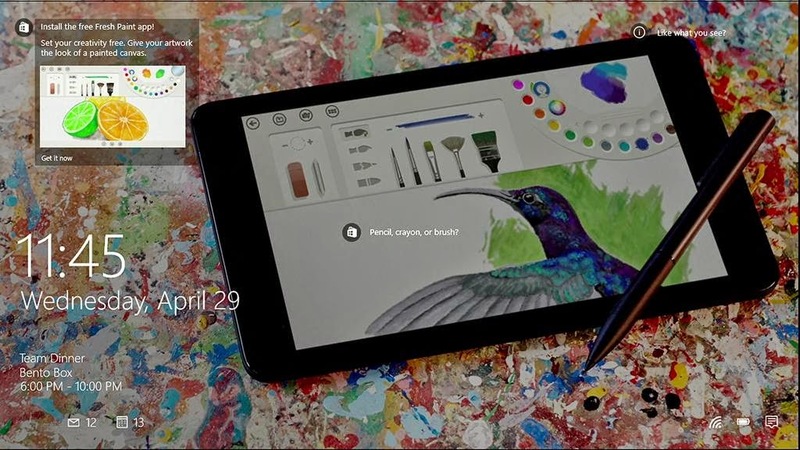 If you buy the S7-392 from the Microsoft Store, it comes completely free of any crapware or pre-installed utilities. 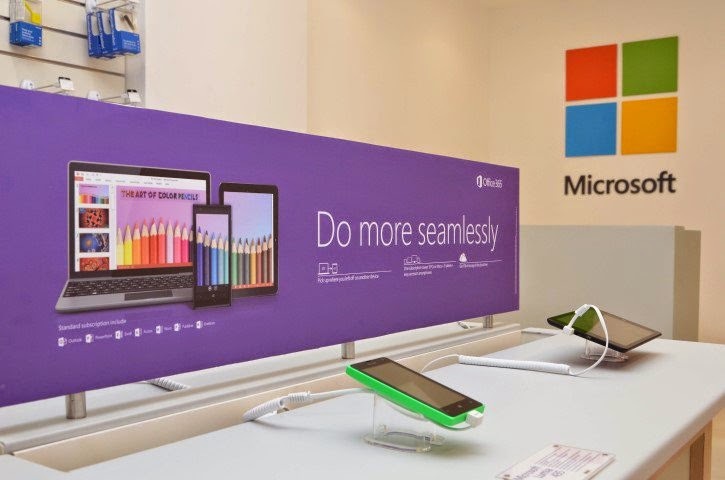 In case buying it through Microsoft isn’t an option, you will get a handful of extra software programs, though we promise the bloat isn’t that bad. 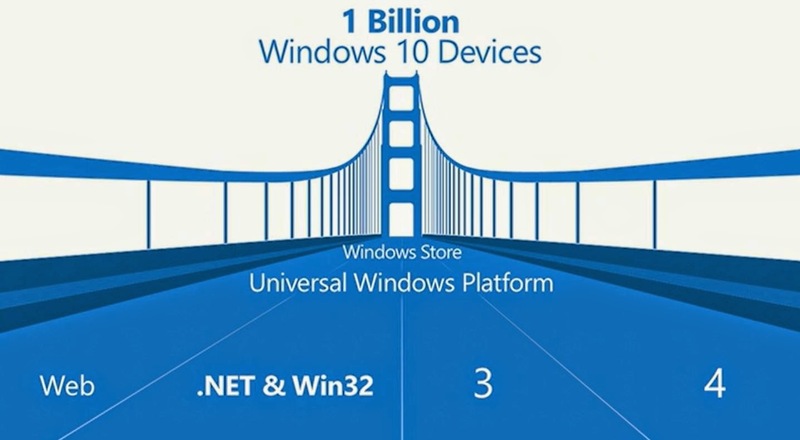 On those non-Microsoft-Store models, pre-installed apps include: Amazon Kindle, Netflix, newsXpresso, Social Jogger, Nero BackItUp Essentials 12 and CyberLink MediaEspresso. Also on board: trials of Microsoft Office and Norton Internet Security, along with Norton Online Backup. Meanwhile, there are also a few Acer-branded apps, including Acer Power Management, Acer Recovery Management, Acer Theft Shield and Acer Crystal Eye. 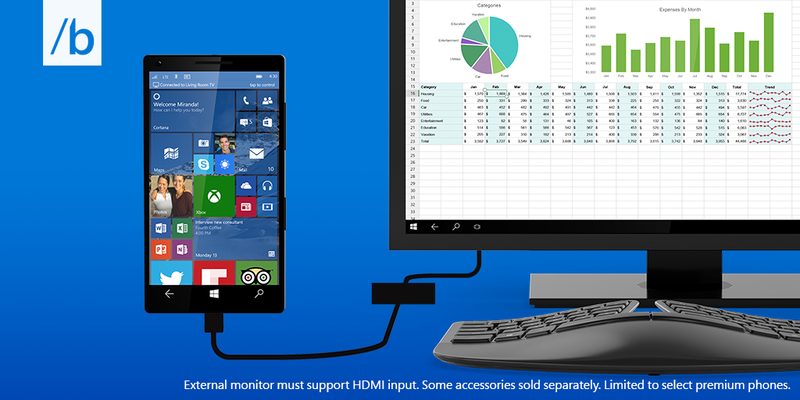 If you buy the S7-392 through the Microsoft Store, it comes with a one-year warranty. 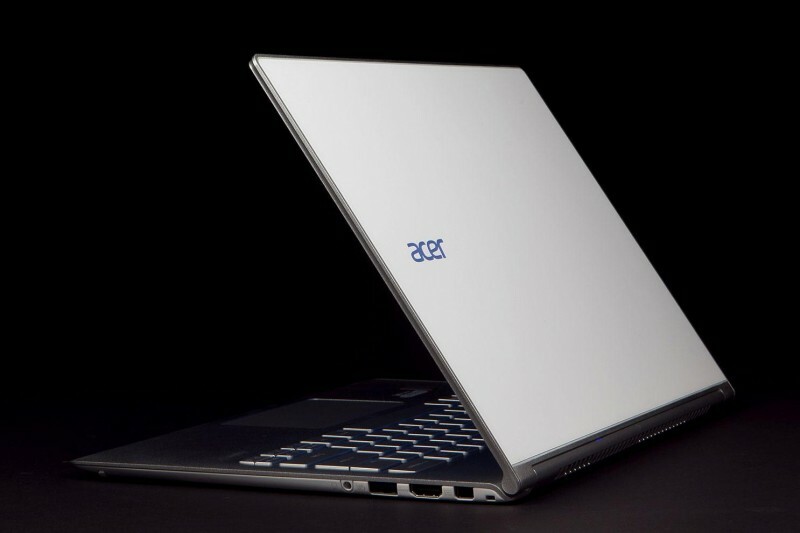 Buy it off Acer.com, though, and you get two years of coverage. For the most part, Acer’s updated S7 is a triumph of improved design and internals. Battery life is a lot better, the keyboard’s travel no longer feels as shallow as a reflecting pool, and fan noise is no longer all that noticeable. But, while a new fan design helps keep the noise down, Acer has mostly played a game of whack-a-mole when it comes to heat and fan noise. The previous model of the S7 was loud but remarkably cool under load. The update swaps fan noise for a big bump in temperatures under heavy graphics performance. So if gaming is important to you, you’ll likely want to look elsewhere. It’s still not perfect, but with a bigger battery, a better keyboard, and a new Haswell CPU, Acer’s updated S7 manages to be ultra-thin without many major sacrifices. 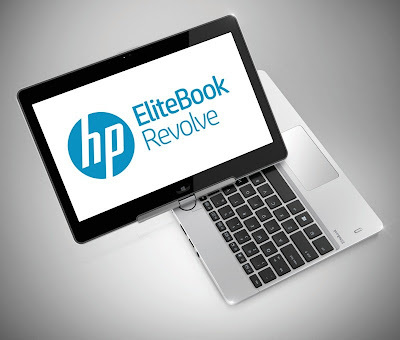 The HP EliteBook Revolve 810 is a traditional convertible, meaning its screen rotates to switch this ultraportable from notebook to tablet mode. Still, HP keeps the Revolve fresh, with an attractive, durable, and light design, an excellent keyboard and a fast SSD. However, with the device costing $1,450 , Is the HP EliteBook’s return-to-basics a step in the right direction? Read the full review to find out. he HP EliteBook Revolve employs an eye-catching layered design, with its smaller 11.6-inch display dropping off onto the larger bottom portion of the chassis. The sleek magnesium and aluminum chassis is coated in a soft-touch finish, which is not only comfortable while carrying the notebook, but when using it as well. As an added benefit, the chassis hides fingerprints. With the exception of the bottom, which is matte black, all the surfaces have a silver-aluminum color.Revolve is clearly a laptop that can pretend to be a tablet. The Revolve has been tested by HP for vibration, drop, dust, and temperature extremes, but it’s not intended to be a true super-rugged machine. We didn’t specifically test durability, but it’s a more solid-feeling machine than most laptops. At 11.2 x 8.4 x 0.8 inches and weighing 3 pounds, the Revolve 810 is light for a notebook, but on the heavy side for a tablet. some users may find the device uncomfortable to use as a tablet for an extended period of time, but the HP EliteBook Revolve still offers impressive portability on par with most competing notebooks. Revolve 810 has an 1.9-GHz Intel Core i5-3437U processor, 4GB of fused RAM, and a 128GB SSD, which can took care of any and all business tasks with ease. 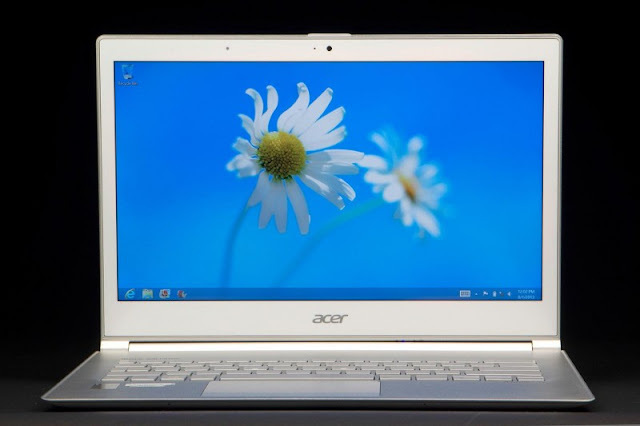 The entry-level $1,249 version comes with a Core i3-3227U processor. Configurations come with up to a 256GB SSD, and you can upgrade the RAM up to 12GB. The Intel HD graphics 4000 GPU in the Revolve 810 isn’t designed for gaming, but is good enough for everyday tasks such as watching HD movies. On PCMark 7, a synthetic benchmark that measures overall performance, the Revolve scored 4,554, which bested the ultraportable average of 3,627 and the ThinkPad Twist (3,108), but fell a little short of the Dell XPS 12, which has a 1.7-GHz Intel Core i5-3317U, and scored 4,727. Its SSD was equally fast when duplicating 4.97GB of multimedia files on the LAPTOP File Transfer Test, taking just 32 seconds to complete the task. the device houses two USB 3.0 ports, a Kensington lock slot, a Display port, and an Ethernet port. The right side of the device also offers a few additional ports and buttons including; a proprietary dock port, a microSD slot, a headphone jack, independent volume controls, an auto-rotate display button, and a power button. The 11.6-inch touch screen on the Revolve has a resolution of 1366 x 768. The limited resolution is certainly a weak point for the device; Still, the resolution is more than suitable for most tasks, and we especially like the wide viewing angles with solid color contrast, which help when the Revolve is in tablet mode. Business users will also appreciate the fact that the display is made of Corning Gorilla Glass 2, which will help protect it in tablet mode. As a convertible notebook the display also offers touch controls. Swipes, clicks, and multi-finger gestures are responsive and read quickly. 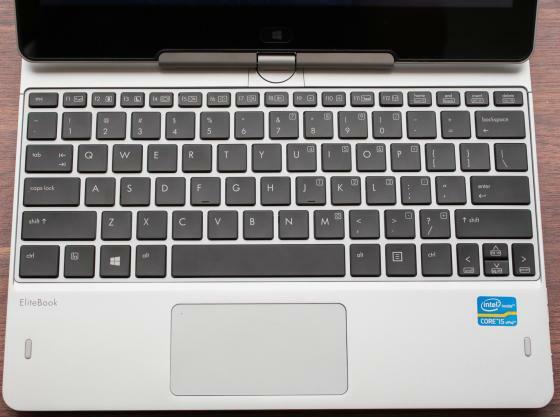 The HP EliteBook Revolve is able to offer more spacing than expected from a 11.6-inch notebook on its Chiclet Style keyboard. It still isn’t spacious by any stretch of the imagination, but there is adequate room to ensure that users can work quickly and efficiently. Typing on the Revolve 810 was a delight. Each key offers a braised smooth texture which provides additional friction. Key-depth is fairly standard and it’s easy to tell when a key has been fully compressed. The slightly gritty texture on the top kept our fingers in place. Its backlighting was evenly lit, and bright enough for us to type comfortably in a darkened room. We also like that the keyboard is spill-resistant; a drain in the bottom funnels any liquid safely through the chassis, and presumably onto your desk. The touchpad which is equipped with Alps drivers performs well, reading swipes and gestures accurately with no lag. The pad’s smooth surface and tight precision makes more delectate gestures like highlighting text easy as well. The only issue with the touchpad is its lack of customization options. Revolve’s 720p webcam captured colorful-but-grainy images. While it will be sufficient for Skype calls, we wouldn’t recommend taking any self-portraits. The HP EliteBook Revolve houses two DTS Studio Sound speakers along the bottom right and left portions of the chassis. The HP EliteBook speakers manage to provide enough amplification suitable for a small group of people or a modest-sized room. The device offers consistent sound quality with no noticeable distortion even at 100 percent capacity. During Web surfing via Wi-Fi, 5 hours and 27 minutes runtime was scored on LAPTOP Battery Test and 4 hours and 45 minutes via a video-playback test. the Revolve 810 falls about 20 minutes short of the XPS 12 (5:46), and about half an hour below the category average of 5:56. Still, it’s much better than the ThinkPad Twist’s runtime of 4:36. The HP Revolve houses heat vents along the bottom chassis and right hand side of the device. 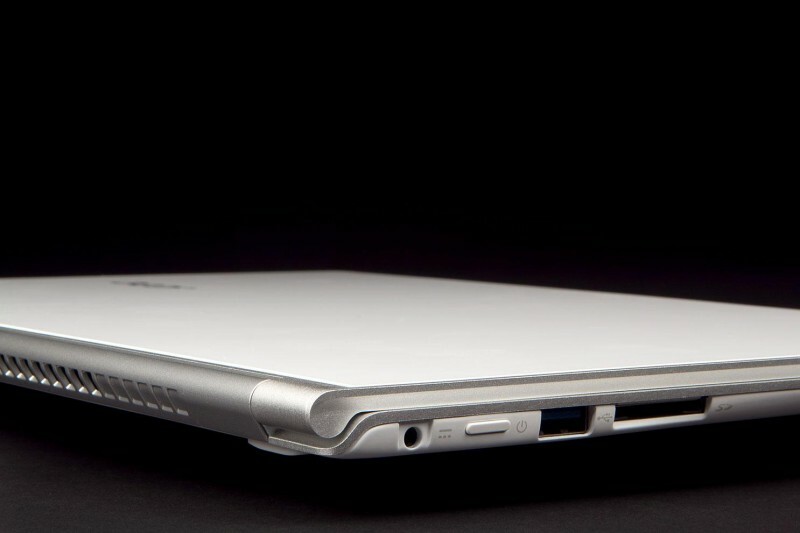 In most cases, the convertible notebook remains cool with relatively no noise. However, watching extended media or pushing the machine to its capacity will result in the notebook becoming noticeably warmer and producing a faint hum. The temperature never reaches the point where it becomes uncomfortable, but users will notice the heat when the machine is stressed. HP loads the Revolve with a number of security measures, including TPM 1.2, HP BIOS protection, Computrace, Face recognition and HP SpareKey. 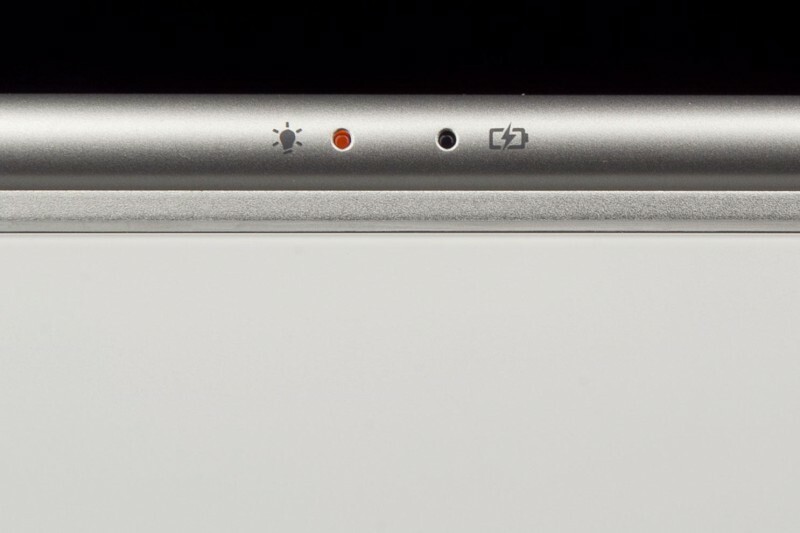 The notebook also comes with an NFC chip, but we would have also liked to have seen a fingerprint reader. An optional LANDesk Management Suite enables IT departments to remotely update or lock the notebook. Software includes HP ePrint, Evernote, Skitch, a 60-day trial of Microsoft Office 2010. 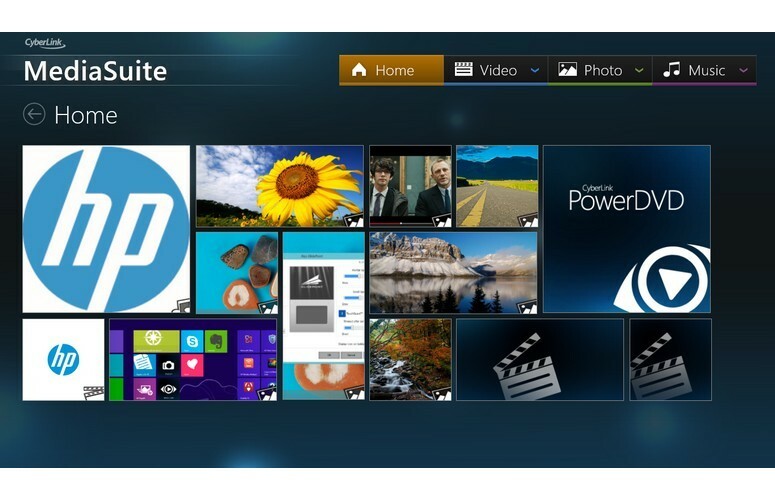 The HP-branded Cyberlink Media Suite lets you manage all the multimedia stored on your notebook. The EliteBook Revolve comes with a limited one-year warranty, with options for a three-year warranty. Users also have access to HP Elite Premium Support, a dedicated toll-free U.S.-based customer support line available 24/7. 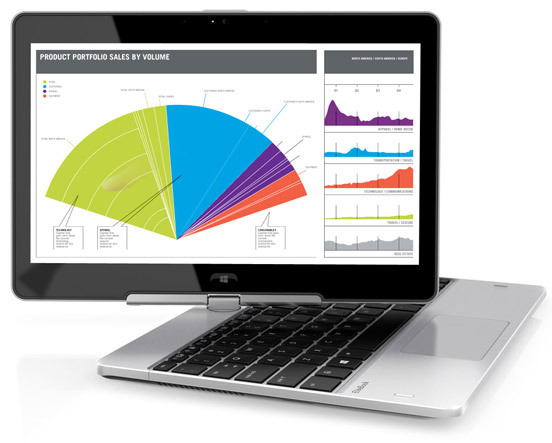 As a business focused device, the HP EliteBook Revolve 810 delivers on most fronts. 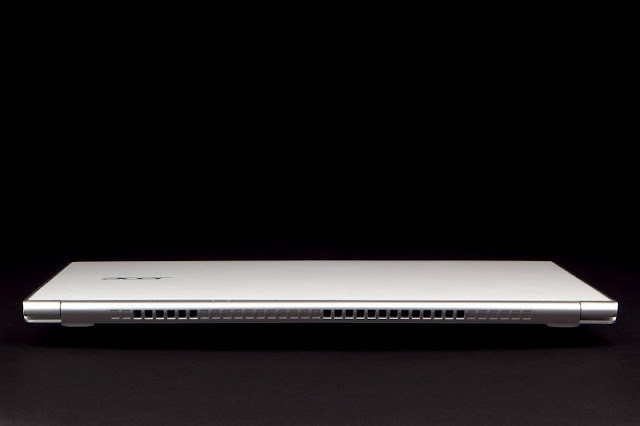 The best things the EliteBook Revolve 810 has going for it are clean design and comfortable feel, plus system speed. Price and battery life are the weaknesses. For $1,449, though, we’d prefer longer battery life. If you are looking for productivity and want a device that will get the job done, plain and simple, will be well severed by the HP EliteBook Revolve 810. Sony’s Vaio Pro, according to the company is the lightest 13-inch UltraBook on the planet and manages to eclipse even the MacBook Air. The question many wants to ask is that weather it is better than the MacBook Air. While the answer to that question is not as clear cut as one might hope, the final result is quite intriguing. Read on review to find out more. Purely in terms of industrial design the Vaio Pro 13 is absolutely gorgeous and it oozes style from every corner. Its sleek, minimalist design looks stunning from every angle, but what makes the Pro 13 particularly impressive is its featherweight carbon-fibre chassis. It’s a better looker than the MacBook Air which has flaunted the same design for five years and now feels a tad boring. It smashes the 13-inch MacBook Air in terms of weight as it just weighs in at 1.06kg while the MacBook Air is a good deal heavier at 1.35kg. Sony managed this Herculean feat by using Carbon fibre instead of Aluminum, which is a much lighter material. This difference may not sound much, but it is a deal maker in daily usage especially for ultra portable notebooks. Sony implements a handsome metallic accent on the hinge that looks beautiful, but in practice has sharp edges that tend to poke into ones lap, which can be a bit awkward. On the left, one only gets the power cable port and the air vent which is there to dispense heat. The right side is home to the twin USB 3.0 compliant ports, a HDMI port, a SD card reader and a 3.5 audio jack. 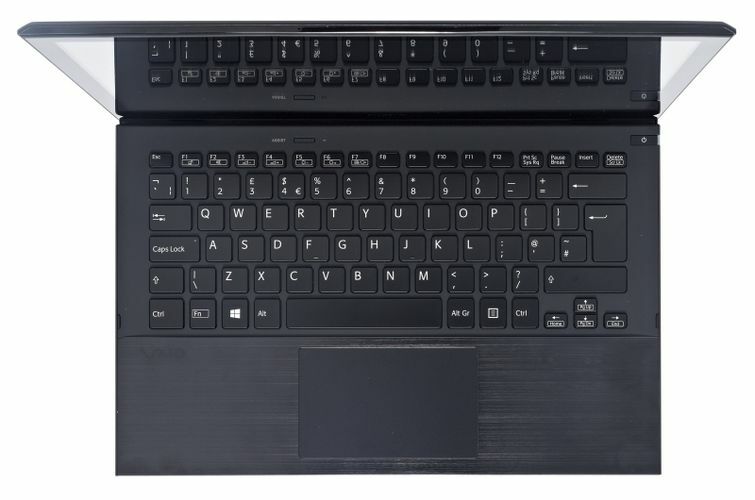 The Vaio Pro, brandishes a carbon fibre chassis which is tough as nails. It’s a rock solid product which brings a fresh design sensibility over other ultrabooks available in market. Overall, we feel that Sony has delivered a brilliant UltraBook in terms of design, weight and looks. We kind of prefer it over that MacBook Air in this regard. 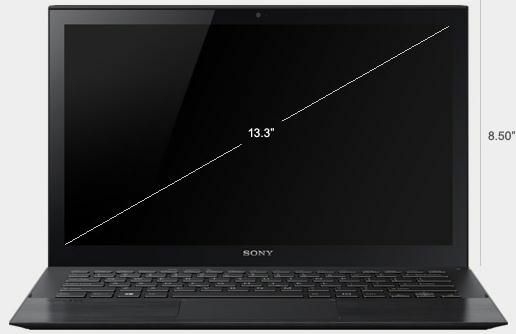 In terms of hardware, the comparison with the MacBook Air 13 has results favoring the Sony Vaio Pro 13 which is powered by an Intel fourth generation core i5-4200U dual-core processor clocked at 1.6GHz which will deliver the benefits of the Haswell architecture that include, better onboard graphics and massive battery life improvements. Additionally, there is 4GB of RAM and a 128GB SSD drive that keeps everything humming along swimmingly. Sony does not equip this model with discrete graphics, so one only gets the onboard Intel HD graphics 4400. This actually the same as what one gets with the MacBook Air. Other features include, NFC connectivity which is rare in a laptop and also the speakers on the machine are surprisingly loud especially for a product of its size. There is still is not substitute for a proper speaker system, but the speakers surely sound better and don’t sound as tinny. 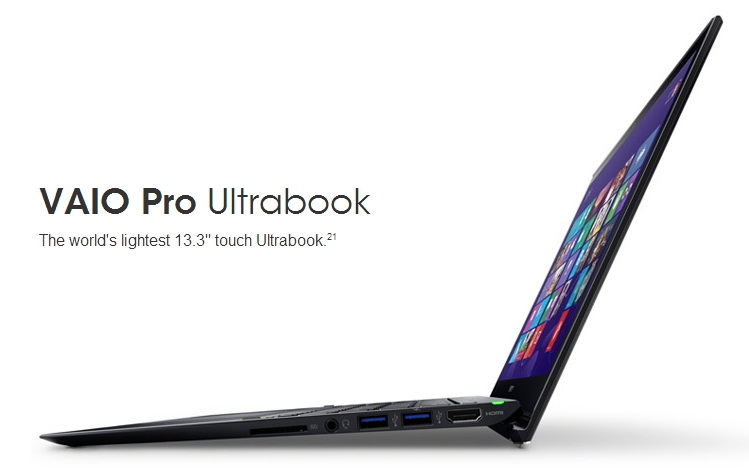 It’s a Windows 8 UltraBook and there is nothing new about this. Due to the lack of compelling applications on the Windows Store one has to say that the touchscreen is not much of use. Adding to the problems is the high density of the screen, which does not play well with Windows 8, as it does not adapt to high DPI screens as well as OS X or Chrome OS. Sony unfortunately preloads the machine with a lot of crapware, which slows it down a wee bit. You may not notice it for most tasks but f you push it for heavy use then you might face the odd lag. These all are major issues, because the touch points become too small for the user to touch. These issues will likely get resolved with the Windows 8.1 update that is expected later in the year. User can download that update now from the Windows Store and make the experience better, but keep in mind that the update is not final and is in the form of a release preview, and one will need to probably reinstall all desktop applications once the final update is released. The one area where the Sony Vaio Pro 13 trumps the MacBook Air is in terms of display quality. We get a 13.3-inch Triluminus display with a resolution of 1080p, which is miles ahead of the 13.3-inch LCD panel on the MacBook Air which also has a lowly resolution of 1440×900. The Vaio has deep blacks, brilliant viewing angles and natural colors, and it’s also incredibly crisp. Its probably not in the same ball park as the 13-inch MacBook Pro Retina, but still is very good. We also get a touch panel to boot considering it runs on Windows 8. The keyboard on the Vaio Pro 13 is rock solid. Sony has implemented an island style keyboard, which is LED black-lit. We managed to type at decent clip in excess of 60 words per minute which was actually faster than our work computer. In our testing the keyboard was a bit shallow and the key did not have a satisfying travel but generally it did the nice job. 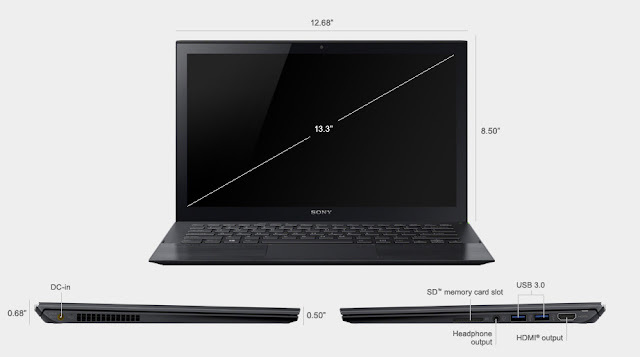 Sony probably was forced to keep the keyboard travel shallow as the laptop itself is so thin. The trackpad was a different story altogether. There was discernible latency in commands like pinch to zoom or scrolling or even basic swipe gestures. We also found the buttons on the trackpad to be on the stiffer side. 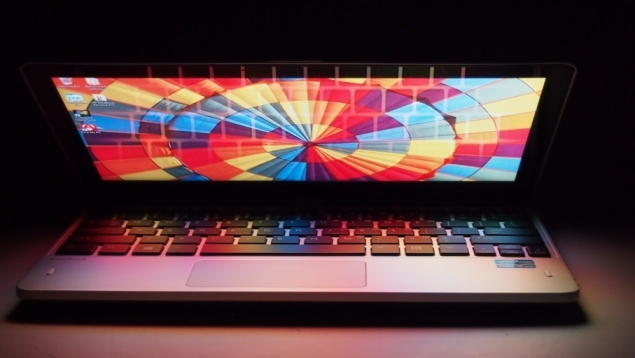 Honestly, there is no competition between the MacBook Air and Sony Vaio Pro 13 trackpad, and this is a problem more related to optimization of the drivers of the touchpads on Windows-based machines. This issue will be greatly resolved when OEMs start shipping Windows 8.1 powered laptops that have high precision trackpads. As far as this product is concerned, one has to admit it offers one of the better trackpads for a Windows machine. With the latest generation Intel i5-4200U dual-core CPU clocked at 1.6GHz, with hyper threading support built in then one rarely should worry about performance. There is 4GB of DDR3 RAM and a 128GB SSD drive. This also means that start up times are super fast and generally the laptop is incredibly responsive. In our testing we used a copy of Adobe Photoshop for some image editing, Microsoft Word and Excel for daily tasks and the Chrome browser and for these tasks, the machine performed sublimely. Gaming performance was not great and while we did manage to install games like BioShock, the frame rates were quite horrendous. Suffice to say, this is not a laptop meant for gamers. We managed to clock around 7 hours and 30 minutes on the laptop regularly on a single charge. Sony claims 8 hours and 30 minutes on a single charge. This number would change from user to user according to usability. Sony’s Vaio Control Centre does allow you to alter the noise of the fan, but it’s tied in with CPU performance. It comes with three options: Silence, Standard and Performance. We ran our all of our tests in Performance mode, but when we ran our tests again in Silence mode, the difference in fan noise was barely noticeable. At price of Rs 74,990, the Vaio Pro 13, is the best Ultra portable Windows 8 powered UltraBook in the market. It also offers better features than the MacBook Air, with a much better touch display, a better design, but sacrifices greatly on battery life and touchpad performance. If one wants the a better display for watching movies, which by the way also supports touch and perhaps a slightly better design with the underlying app library of Windows, then the Vaio Pro 13 is easy to recommend.